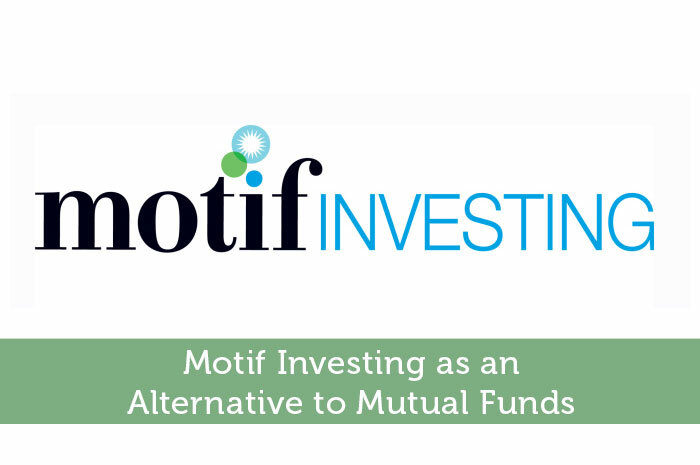 Motif Investing offers a very unique way to trade stocks, and it provides an inexpensive way to build a long-term portfolio. You do not buy individual stocks; instead, you buy groups of about 30 stocks and other securities based on certain investment criteria – usually by industry. Each group is called a “motif,” and each one costs $9.95. My first thought when I researched this company is that it’s similar to a mutual fund, even though it’s not. We all know that mutual funds are groups of stocks that are bundled together, and we all know that they are carefully managed by professionals, which results in management and maintenance fees that can eat into your profitability. Still, having a team of professionals to keep an eye on the investment can be an advantage, especially for someone who is new to the market. This could, however, be a turn-off for the more hands-on investor. See Motif Pricing and DetailsGet $150 free today! Another negative about mutual funds is that they can be expensive, and there is no guarantee that you will get a good return – even with ones that are actively managed. In fact, you could lose more money than you initially put in. But what if there was a cheaper alternative to a mutual fund – one that doesn’t have all the extra costs attached to them? While this is not your typical style of investing, it does have its benefits. Not only can you buy groups of stocks for a very low price, they don’t come with all the extra management fees often attached to mutual funds. The reason why is because they are not managed by someone else. You have complete control over each motif, which means that you have to know what you’re doing. The advantage of this type of trading is that you can build a portfolio quickly, and it will be automatically rebalanced to maximize its performance in the market. Motif Investing is also good for someone who doesn’t have a lot to invest. You only need about $250 to start trading, and with each motif costing $9.95 a piece, you get a lot for your money. But even someone who has a more established investment history can find it useful, as it could serve as a supplement to more traditional assets. This is true for any type of investing, so this will not surprise anyone who has investment experience. There is always a certain level of “market risk” in any kind of investing, and this company is no exception. You should analyze each motif carefully, and you should evaluate the amount of risk you’re willing to take to get the return you desire. You need to pay close attention to trends in the market, so you can get the best possible performance out of a motif. And you should make sure you reinvest a portion of your dividends to keep your portfolio performing strongly. This will not be done by the website, so you will have to do it manually. And there is one other thing you have to bear in mind. Since motifs don’t have other people managing them for you, you will have to take a more active role in the process. If one stock in a motif is not performing as well as it should, you may have to trade it for another one. But it doesn’t come without a price. Every time you choose to swap one stock for another, you will have to pay $4.95 for each one you want to trade. This is in addition to any capital gains taxes you may have to pay later on. It’s clear that this is not your average style of investing. In fact, it’s quite the opposite. Still, Motif Investing can have a lot to offer both new and experienced traders and investors. The low cost and absence of management fees can be an advantage for someone who doesn’t have a lot to start out with, but even someone who has more of a history can use this to supplement what they already have.